Before we begin, let’s get one thing straight: I am doing this for me and not for you. That’s right. This review is not for you or some other consumer’s benefit. This entire review is actually just an elaborate ploy so that I can drink wild amounts of Starbucks without being labeled as “basic”. I am something of a Starbucks expert, if I do say so myself. Not to toot my own horn or anything, but I have been a valued Gold Member at Starbucks for three years running now. That’s right: free drink on ma’ birthday, stars when I buy, and cheerful emails from Starbucks that come twice a day every day and honestly, make me feel special. Now that you’ve been assured of my credentials, it’s time to get down to sweet, sweet Starbucks-y business. 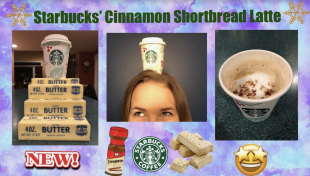 Today’s topic of criticism: the Cinnamon Shortbread Latte. Unless you’ve been living beneath a WiFi-less rock, there’s a pretty good chance you’ve heard of it, or at the very least seen it in one of Starbucks’ mouth watering and utterly insta-worthy new advertisements. 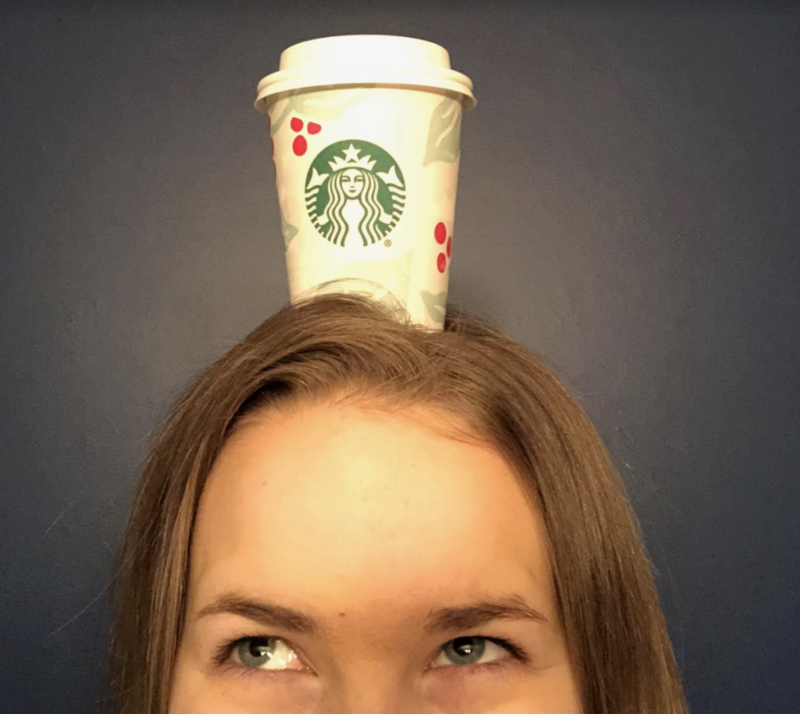 Since its release on January 8th, Starbucks has dubbed the new drink the #CSL in the hopes that it will garner just as much cult-like buzz as the now iconic Pumpkin Spice Latte or #PSL. I, on the other hand, dub the new drink #nasty and hope only that it will never assault my poor taste buds again. 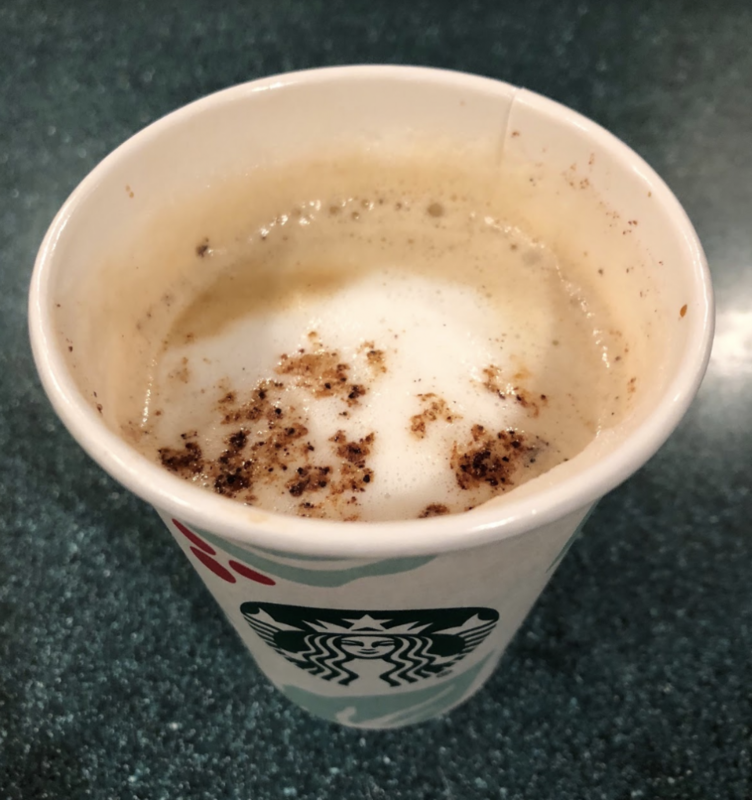 In their advertisements, Starbucks describes the Cinnamon Shortbread Latte as being a cozy mix of steamed milk, rich espresso, and buttery vanilla shortbread sauce, with a dusting of cinnamon and nutmeg on top. Now, I do not know exactly who at Starbucks wrote this description or what led them to write it, but I do know that I would like to have words with them about honesty and false promises. As you can probably gather, I was not nearly as impressed with the CSL as Starbucks seems to be. At the outrageous price of $4.55 for a Short (8 fl oz), the Cinnamon Shortbread Latte should have tasted like snow days, joy, and fulfillment in a cup. However, the underwhelming latte instead tasted more like a cup of hot buttery milk than anything else. Seriously, this latte was so exceedingly milky that even Hood itself wouldn’t have dared to pose the question, “Got Milk?” It is common knowledge among experienced baristas and coffee connoisseurs that the purpose of a latte’s bland whole milk base is to complement and enhance the beverage’s more subtle accompanying flavors. Crafting lattes with this precise ratio of bland milk to subtle sweetness and spice is something of an art. An art form that, it is now evident to me, Starbucks has yet to master. The Cinnamon Shortbread Latte starts off promisingly enough with the whole milk present in all its bland glory. However, this is where the latte’s potential is cut short as the accompanying flavors of cinnamon and shortbread are so subtle that the milk actually overpowers and renders them imperceptible. After seeing Starbucks make such a rookie mistake as this, I can’t help but wonder if they are simply not as good as I thought they were. As for texture, I have nothing good to say on that account either. In fact, the texture of the latte was likely the greatest disappointment of all. I was promised silky smoothness, but instead received only buttery bleakness. 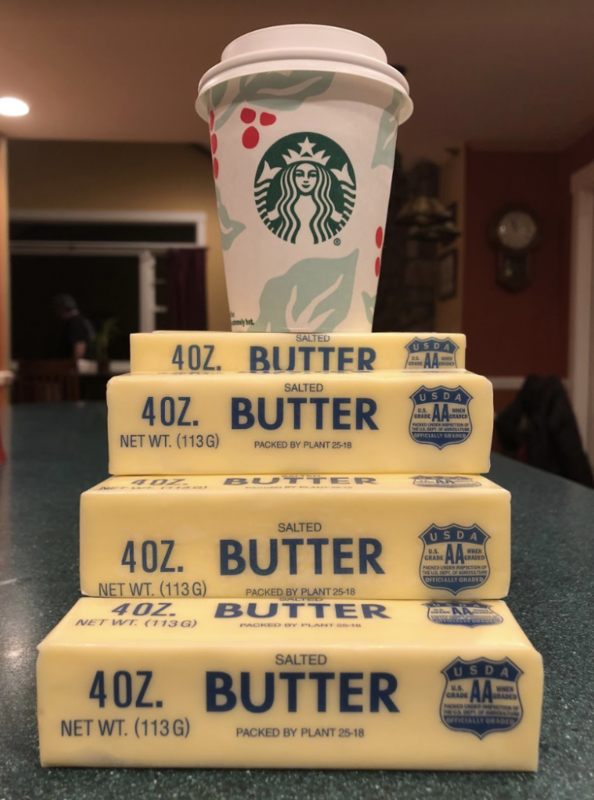 With each increasingly disappointing sip, the truth became more and more apparent to me: I am literally just drinking butter. By the time I reached the bottom of the cup, I could feel a slick sheen of buttery nastiness coating my tongue and lips. Not a pleasant feeling at all, I can assure you. Drinking the Cinnamon Shortbread Latte was less like indulging in a tasty treat, and more like drinking an only slightly more appealing version of bulletproof coffee. After 15 or so minutes of reluctant sipping, my festively decorated cup was finally empty, and I was left staring regretfully down at its bottom. Staring back up at me was a greasy and globular residue unlike anything I have ever seen before or care to see again. Speckling this sediment were jagged chunks of undissolved cinnamon sugar and sad little splotches of coarsely ground espresso. So varied and haphazardly scattered were the lumps, that I felt tempted to contact a tea leaf reader and ask them to interpret my latte. I wonder what they would they see in my future? Certainly no more Cinnamon Shortbread Lattes, that’s for sure. Reflecting on my utterly underwhelming experience now, I feel the need to ask Starbucks: why? You do so much so well. Why would you fall so short now? Did you have an excess of butter which you needed to expel as quickly as possible? If so, why would you not simply put it into one of your delicious pastries? Why would you instead choose to poison your loyal customers with death-by-dairy?